In Malaysia there is a wide range of foods selection for all meal types, some are even available 24 hours. You name it and we got it, and that is one of the things I’m proud of my homeland. Today I’m gonna introduce something that I used to eat as breakfast or snack for anytime of the day. It’s Char Siew Bao, or Barbecue pork bun in direct Chinese translation. Our Chinese ancestors have brought it to Malaysia long time ago from China. But the Malaysian people like them with more dough, whereas in China it is crucial to keep the dough thin, which they also call it Jiao Zi/饺子. Since I am recently into the ‘eating less meat’ mode, thanks to all the TED Food Matters documentaries about meat industry and health issues, I’m twisting the recipe to a vegetarian version to satisfy my needs and desire for eating these buns. ;-) FYI, this is the third time I made it because the first 2 times were complete failures. Wrong yeast, wrong technique, tasted good though, but looked ugly. It takes a lot of practice to get it right especially in the wrapping part. You can use any type of vegetables for the filling, or with meat if you like as Char Siew/Barbecue pork is the original recipe. 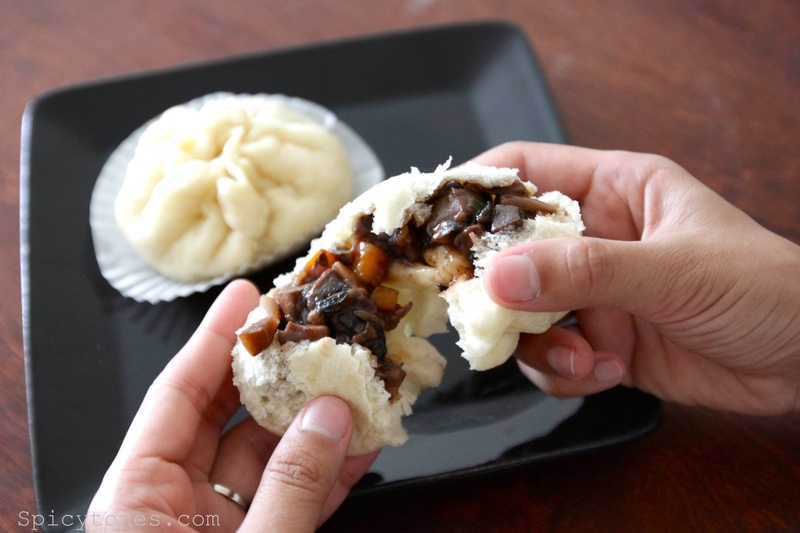 Sweet version of the steamed buns are also very popular in Malaysia, normally found in red bean (豆沙包) or lotus-seed paste (莲蓉包), and those can be easily made or found in ethnic stores too. 1. Melt instant yeast into warm water until it bubbled up. 3. 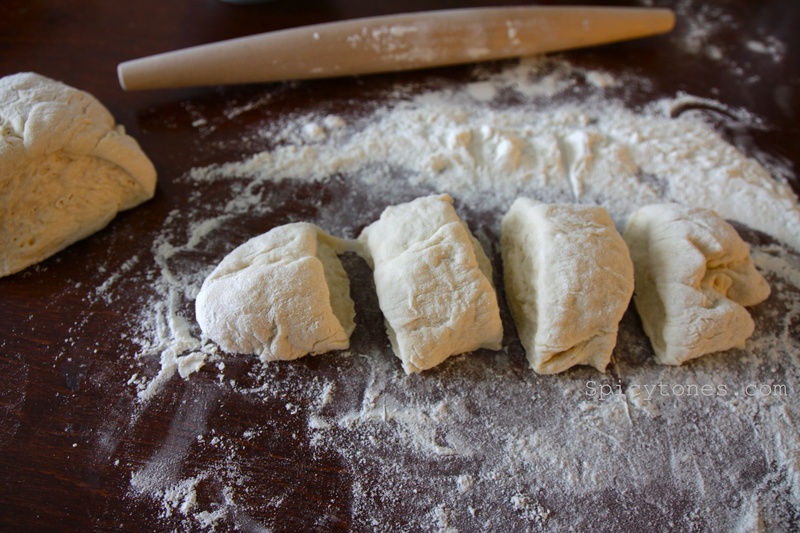 When the dough has doubled its size (that’s when it should be really soft in texture), knit the dough on a floured table and add in baking powder and sesame oil. Cover and let it raise for another 30 minutes. 4. 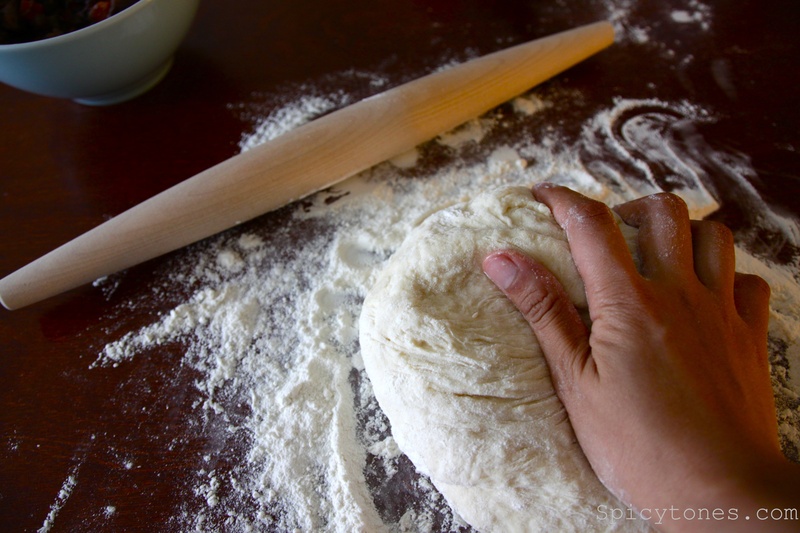 Roll dough into a long cylinder shape and cut into half. Each halves can be rolled again and cut into 8 equal pieces, that makes a total of 16 pieces. Make them into balls by hands, and then flattened with wooden roller into round-flat sheets. 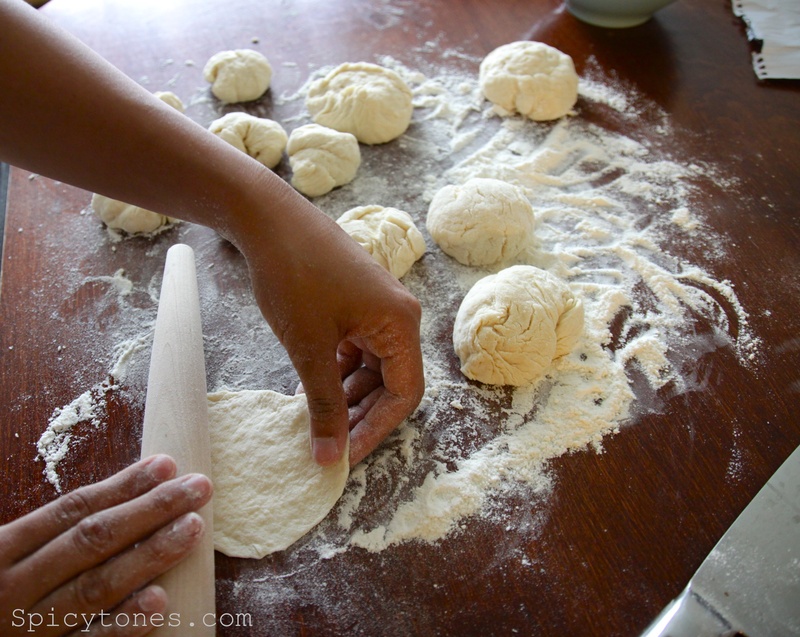 ( You can also cut the dough into a total of 8 to make 8 big buns). 5. 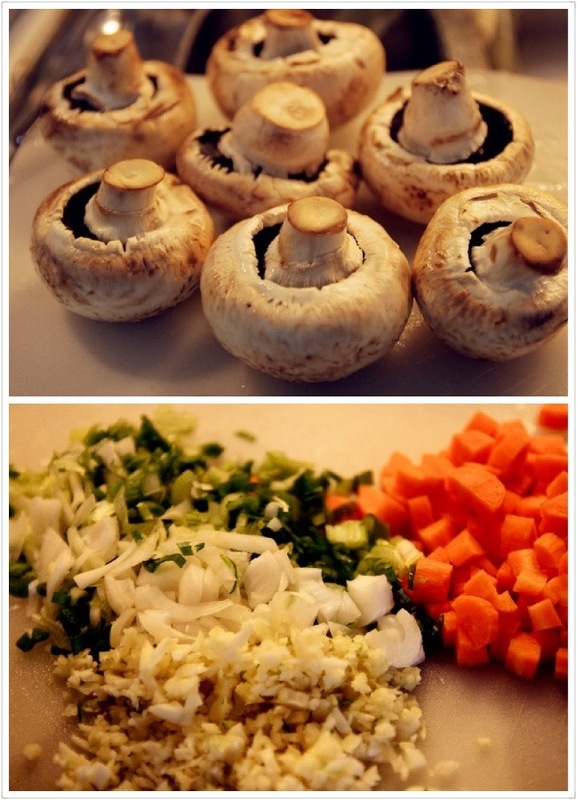 Place about 1 tbsp of the mushroom fillings (see below) into the middle of the sheet and fold it to closure. (There is a video I found teaches you how, click here.) 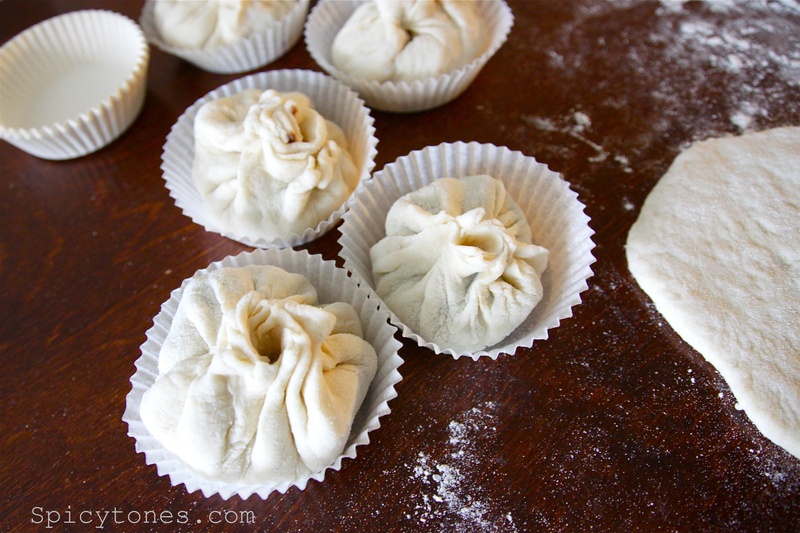 Place each buns on cupcake papers or shaped baking sheets. 6. 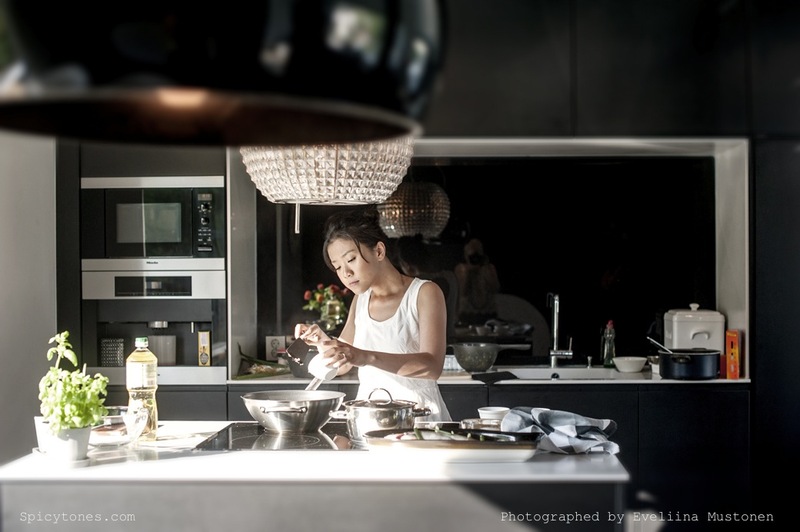 Let buns rest for 10 minutes and place them to steam with cold water. When the water starts boiling, let it boil for 10 minutes and then remove from heat. REMEMBER: Let the buns to be in the steamer untouched for at least 2-3 minutes before opening the lid. 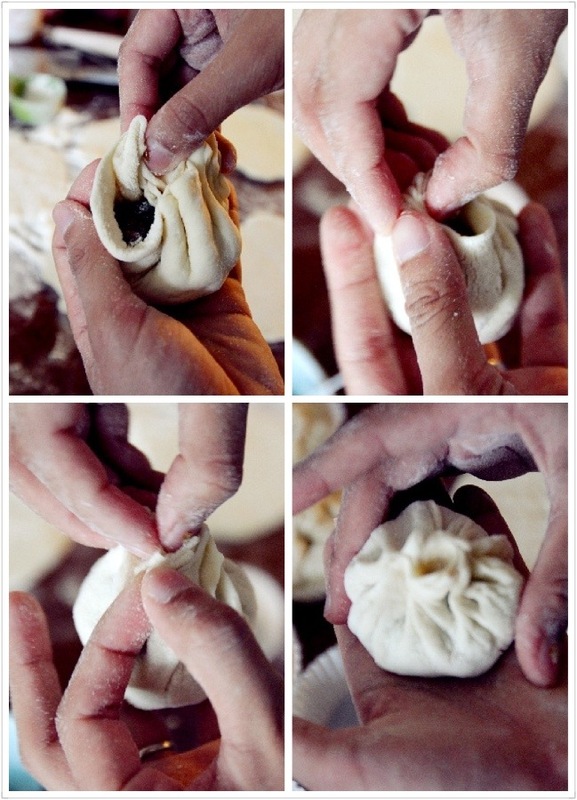 It will prevent the skin of the buns from wrinkling. Served immediately. 1. Heat up oil in wok, fry garlic until slightly brown. Add in ginger and all the vegetables, cook until softened. 2. Season with Hoisin sauce, soy sauce, sesame oil, wine, sugar and five spice powder. Cook the vegetables through (10 min). 3. Mix corn starch with water and stir gradually into the wok to make gravy. Set aside and let it cool before wrapping. It helped me when I practiced the wrapping with a piece of kitchen paper! 😀 I didn’t waste any of my precious dough.